Pilfer'd at once in Doneraile. To fall in show'rs on Doneraile. The thieving Town of Doneraile. Returned to me in Doneraile.."
Doneraile Literary and Arts Festival 2012 runs from July 30th to August 05th. Following the highly successful inaugural festival last year the committee have decided to expand the festival to include a week of workshops. This year‟s festival has attracted the cream of Irish literary and artistic talent with a variety of existing and new authors covering such topics as general fiction, autobiographies, literary fiction, history and much more. Workshops are divided into artistic and literary fields. There is also a Children's Day featuring guest readings by children's authors and a puppet theatre in the magnificent Pleasure Gardens of Doneraile Park. The town will come alive in the evenings with numerous plays, impromptu poetry and song in the pubs of Doneraile as well as music concerts. It's show time now in Doneraile. 'Twill be revived in Doneraile. With Failte Isteach, for Doneraile. And I know they won‟t steal my watch!! 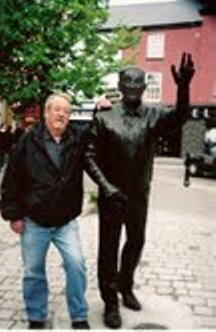 Speaking of Literary Festivals, Larry Burke, from Minnesota, a stalwart, for many years, of Listowel Writers' Week passed away last week. 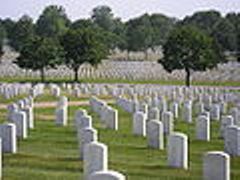 He was buried, at Fort Snelling National Cemetery, on Monday. (The mayor of St Paul's declared Friday 27th July “Lar Burke Day.” When I passed the sad news on to Billy Keane, writer and all-round entertainer he paid a laconic moving tribute to Larry. He said, "He was the nicest man that ever came to Writers' Week." Last December the Irish Music and Dance Association honored him as their 2011 Honoree. He loved his Irish heritage, as an actor with the Na Fiana Players, and a fiction writer. While the world is full of troubles And anxious in its sleep.